Of the numerous initiatives that Prime Minister Narendra Modi has launched Swachh Bharat Abhiyaan, which would give Mahatma Gandhi the gift of a clean India on his 150th birth anniversary on October 2, 2019, has the greatest potential to transform the lives of all Indians – rich and poor. The Swachh Bharat Abhiyan (Clean India Campaign) is powerful in its simplicity. We all must have heard every kind of news , opnions, thoughts about our much publicized ‘Swachh Bharat Abhiyaan’ but do actually want a clean India. YES!!!. Something in all of us makes us say yes. Lets take a closer look. For many, it is almost a religion; “Cleanliness is next to Godliness.” Regardless of the fact that we often forget to keep our surroundings clean. We Indians always talk about cleanliness, personal hygiene, clean home. Some of us even take bath twice in day just because we feel ‘shuddh’, no laughing – it is a fact. But I’ve also noticed something else: At home when everything has its place, when all the stuff around me is in order, I feel calm. And when there is stuff stacked everywhere and I’m constantly looking for misplaced sunglasses and lost keys, I always feel a bit jilted. I feel a thousand times better when things are in their place. So same goes for our surroundings and our nation. When we see foreign locations we say how clean those spaces are , very seldom we say that these places are gifted by nature. It’s the cleanliness that makes all the difference. We take pride in keeping our homes clean it is the public places we behave in a pathetic manner. In India, the problem of environmental hygiene has always been a debate and a growing problem. Cases involving environmental hygiene problems continue to increase every year. We all know what the effects of a bad environment are and what it may lead to. When it comes to safety, the old saying that “an ounce of prevention is worth a pound of cure” still rings true. Simple steps in keeping environment clean goes a long way in preventing accidents, injuries, health hazards etc. We also know that cleanliness is a good habit and every one must develops it. There are also many health benefits of cleanliness. Let us know more about how to maintain a habit of cleanliness and also joins the Swachh Bharat Abhiyaan to make our country Clean and Healthy…. 1. Self-start by giving an example to the community how to keep the environment clean. 2. Always involve influential community leaders to provide guidance to the public on the importance of keeping the environment clean. 3. Ask the youth to become active in keeping the environment clean. 5. Hire a cleaner with the appropriate reward every month. 6. Encourage to the people to get used to sort household waste into organic and non-organic waste. 8. Set a schedule for the activities of community service cleaning up the environment. Another trick is to extend the sense of pride to public places too. Actually what is needed is – to spread the movement to the gen next, as Swachh Bharat will happen over a decade and not in a day or ceremonial cleaning on 2nd October. The iceberg is big, and poised to grow. I guess the simplicity of the idea may work. In the end, everyone benefits from a clean and organized environment. I’m often amazed that corporate leaders do not realize how a slow or even sloppy HR strategies can turn off new customers/clients quite quickly. I guess employees and business owners just get used to a messy office and they no longer notice it. Cleanliness of HR procedures strategies offers several benefits, such as higher productivity, efficiency and reduced waste of time and resources. HRStop’s Recruitment module help HR recruiters in accomplishing recruiting tasks within the deadlines. Slow HR work would turn off customers, making it less likely that they will come back for repeat business. By providing a clean quick payroll work, you can increase employee focus, morale, and work output. Cleanliness of an organization’s task such Payroll, Attendance Management, Expense Management, Recruitment, Employee Performance, Extensive reports should be made a part of the business’ policies, as it directly affects the overall image of the business. Getting lucky has never been this easy!! HRStop is launching Swach Bharat Abhiyaan from Dec 1, 2014 for a month. 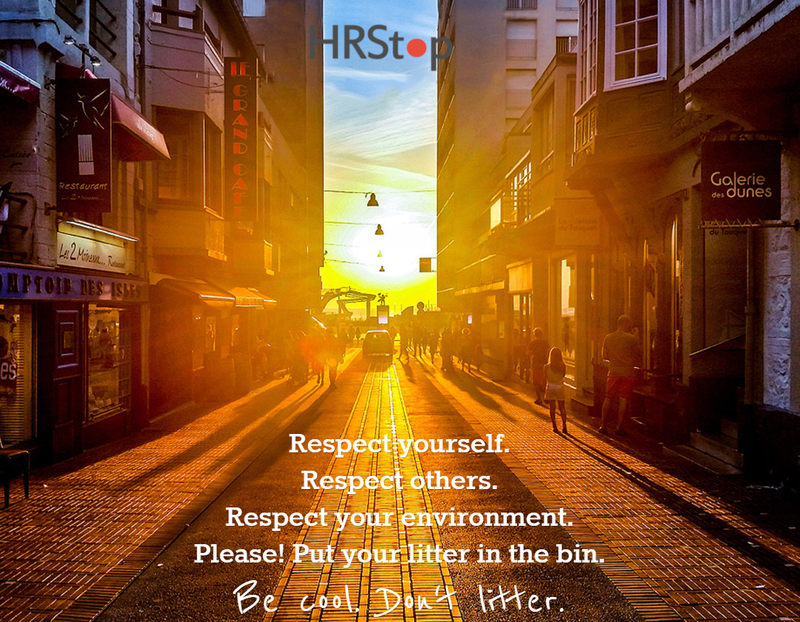 If you post pics on HRStop’s Facebook page (https://www.facebook.com/hrstop) on how your company is promoting cleanliness, inside and outside the office premises and write 3-4 liners on it, you will become eligible for additional 10% discount on your first payment. Try the app out and share your review and thoughts about our HR solution.